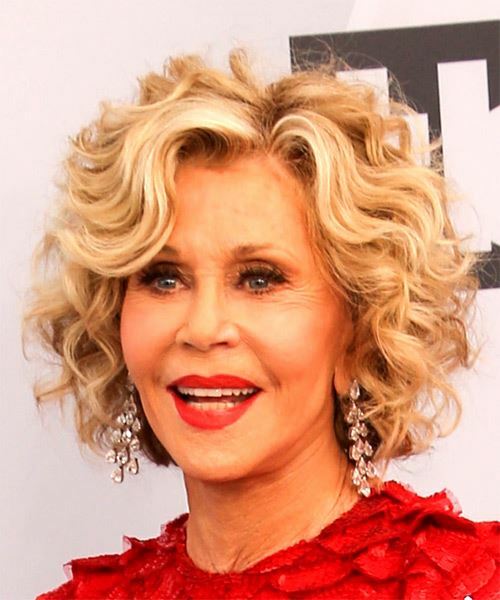 Jane Fonda is rocking this curly haired bob! 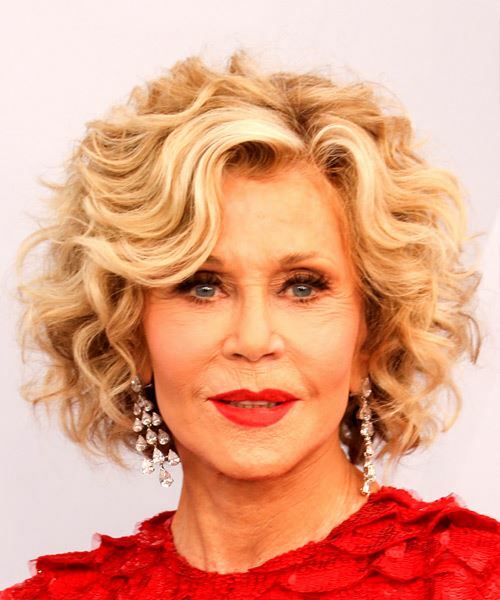 She is a true example that age does not mean you cannot have a trendy hairstyle. The bob has nice tight curls which frame her face nicely and gives the look a bit of mystery due to the fact that the right side of her forehead and eyebrow is covered by her bangs. The way that the bangs fall over her face means that this look will not look great with glasses on so you are going to need to find yourself a pair of contact lenses. Some hair spray is required to keep the locks in place and to keep any stray hairs from flying away. The hairstyle is dramatic all on its own so you will not need to apply a lot of makeup for this look. Jane is wearing a bold lip in this picture which is perfect to tie everything together.